Hurricane Harvey, a category 4 storm, is currently approaching the Texas coast this afternoon with landfall expected sometime tonight. Along with hurricane force winds and gusts up to 130 mph near the center, very heavy rainfall is expected across much of southeast Texas as Harvey is expected to stall and meander slowly along the coast over the next 7-9 days. 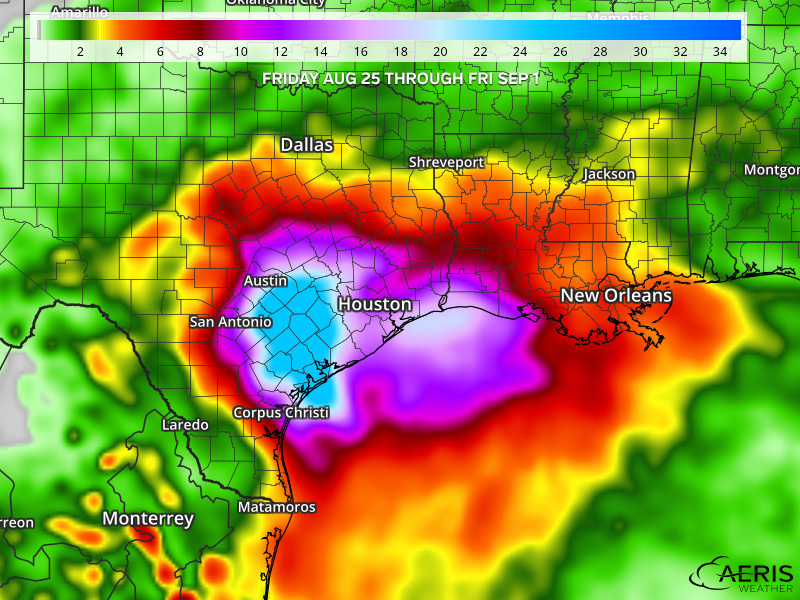 With rainfall totals over the next week forecast up to 10-20″ across the entire region, reaching 30-40″ in a few smaller regions, catastrophic flooding can be expected. 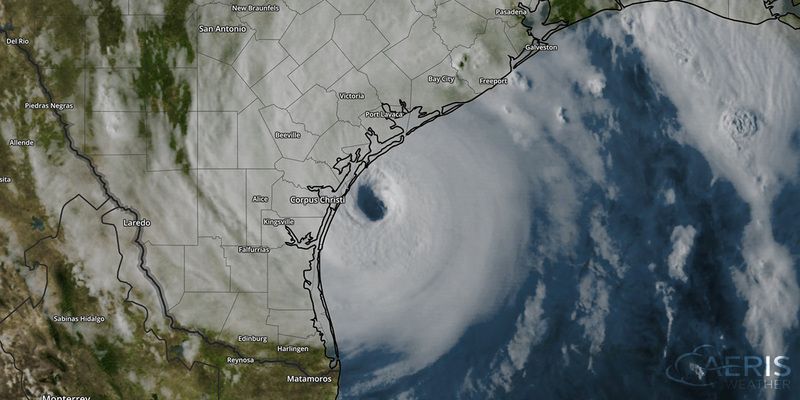 The Aeris Weather Maps platform is a great tool for providing the latest weather information and forecasts regarding Harvey, or any other severe weather event, to your users and clients. During this major weather event, we understand that your usage may be much higher than normal and want to ensure that you, our clients, can focus on providing their weather services during this critical time for safety. Therefore, we have temporarily suspended daily limits over the next week for our AMP Basic and Premium subscribers. Rest assured that your service will not be interrupted due to higher than normal usage during this major weather event. Feel free to contact us if we may be of additional assistance during this or any future weather event.